Music is my favorite art form because one song can mean so many things to so many people. It can provide a timeline for your life that you can attach memories and emotions, or it can just be something to pass some time between stoplights. Either way, it is providing a function. My goal when listening to music is to find songs which will add to each moment and perhaps give me a different and more impactful experience. This week i am going to be sharing a playlist that I made after work to help me unwind and give some background for the evening. I didn’t put too much thought into the lyrical content of the songs as I was planning on using this as more of a passive listen. My focus was mostly on finding some fresh music that put me in a good mood, but wasn’t overly distracting. 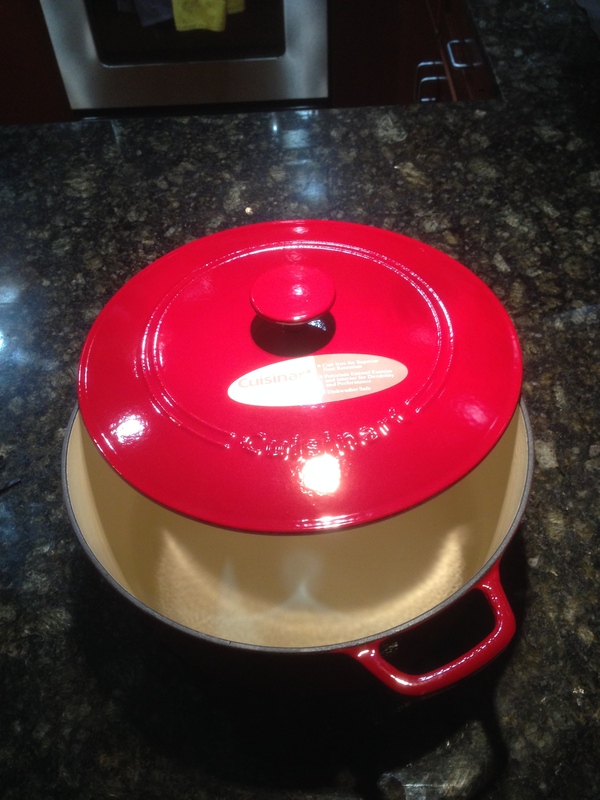 My main focus for the evening after I got home was my new dutch oven. Now i’m sure that some of you think that I am referring to a new set of leather or rubber bedsheets, and although I have put a lot of time and effort into perfecting the art of cooking victims in a cocoon of filth, this dutch oven will only be used to make amazing meals. If you like these songs and want to dig deeper, check out my spotify page. Check out some of the awesome recipes that I found wile making this list!